Anyway, after a few weeks of eating vegetables, brown rice english muffins, and pretending that I liked my caffeine-free Vanilla-Cinnamon tea as much as I like hot chocolate? I had to get creative. So I found ways to make healthy things taste and look like fancy, rich, not-so-healthy foods. My favorite creation? Cauliflower “creamed” spinach. I love it so much it’s become a weekly staple. No dairy, no cream, just a bunch of vegetables and a hint of spice! The perfect dish to “indulge” in while you’re making up for all the damage you did over the holidays. Melt butter/heat oil in a medium-sized pot over medium heat. Add shallots and cook until soft, about 2 minutes. Add cauliflower, salt, pepper, nutmeg, and broth. Reduce heat to a simmer and cook for about 10 minutes, until cauliflower is tender enough to slice with a fork. Meanwhile, steam the spinach with a sprinkle of sea salt until wilted. Return to pot, add spinach, stir, and serve. Also great with chopped toasted nuts on top! Enjoy! So, I want to know: did you go overboard over the holidays? What was the food (or drink) that did you in? 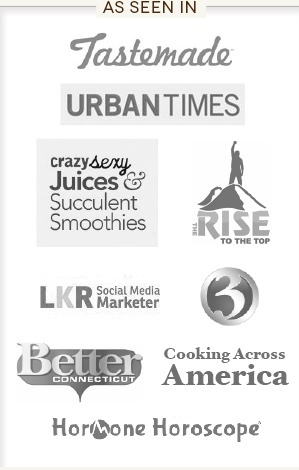 And how do you plan on redeeming yourself in a way that’s more exciting than plain-old salads? Let me know in the comments! Oh i cant wait to try this – spinach and cauliflower are my favs! Sad to see gfy retire but i know better things are coming from you! This was amazing!!! Thanks so much for giving me another twist on cauliflower. 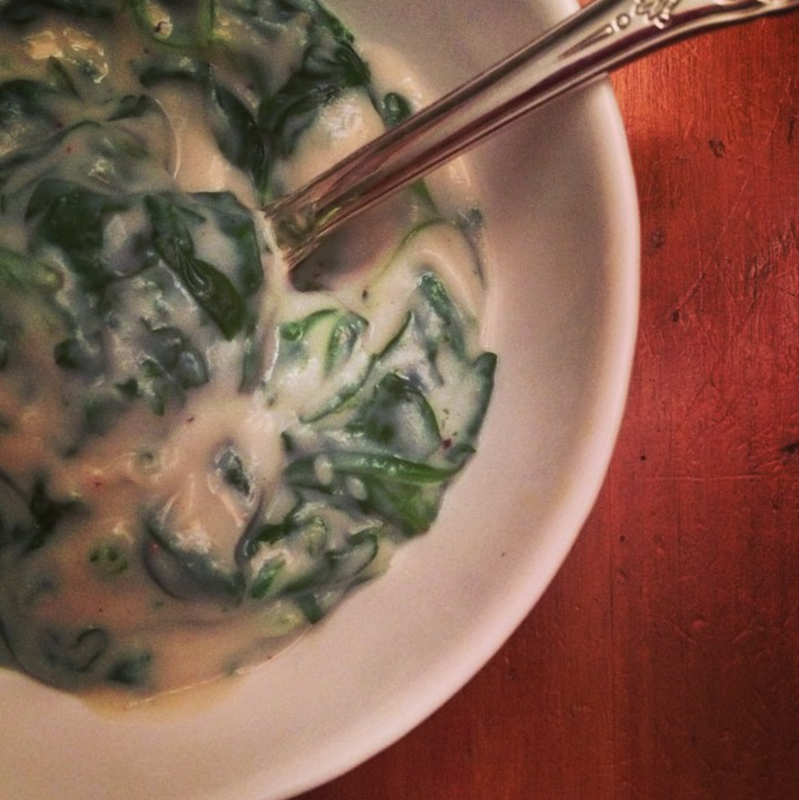 I miss creamed spinach having given up dairy and this is an excellent (and easy) replacement!